I like a little asymmetry. I think it adds something. Makes things more interesting. Hence, an asymmetric ruffled necklace. 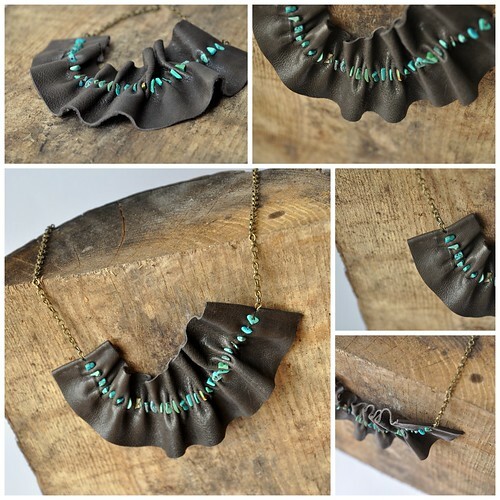 The turquoise beads add a nice little touch of color against the dark brown leather. Ruffles and beads are hand sewn. This necklace can be worn as a choker or slightly longer. It will be added to the shop on Monday.